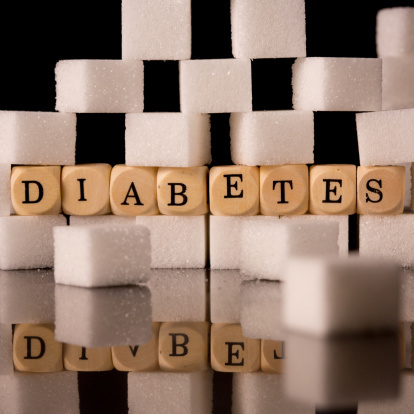 About 26 million Americans — 8.3 percent of the population — have diabetes. Of that group, 7 million are undiagnosed. Diabetes is a serious health concern. It is the seventh leading cause of death and is a major cause for blindness, amputation and renal (kidney) failure. In addition, approximately 33 percent of Americans have prediabetes – but only 10 percent know they do. Diabetes occurs when blood glucose (sugar) levels rise because the body either is not producing enough insulin and/or is unable to use it correctly. Diabetes mellitus occurs as Type 1 and Type 2 diabetes. In Type 1 diabetes (5 percent of diabetes cases) the pancreas no longer makes insulin, so blood glucose levels rise. If you have Type 1 diabetes, you must have insulin to survive. A healthy diet and exercise are also important. Formerly referred to as “juvenile diabetes,” Type 1 diabetes is more common in young people. With Type 2 diabetes (95 percent of diabetes cases) the body doesn’t make enough insulin or doesn’t use it correctly (insulin resistant). Type 2 diabetes may be controlled with healthy diet/exercise, pills or a combination of pills and insulin. According to the U.S. Department of Health and Human Services (HHS), Type 2 diabetes is more likely to occur in people who are overweight and inactive. Gestational diabetes occurs in some pregnant women and usually goes away after the baby is born. Women who are overweight, or who gain too much weight during pregnancy, are more likely to develop gestational diabetes. Women with gestational diabetes often have no symptoms. It is important for pregnant women to be screened for diabetes at about 28 weeks (or sooner if there is a prior history of gestational diabetes). Memorial Diabetes Services offers many resources for people who have diabetes, prediabetes or gestational diabetes. Whether you are newly diagnosed, never received diabetes education or just need a refresher, we can help you adopt the self-care behaviors proven to improve your glucose control with our American Association of Diabetes Educators (AADE) accredited diabetes education program. Visit us online to learn more.